Due to the unchecked spread of human civilization, the lives of wild animals and birds were threatened, and to save the lives of these animals and to main proper ecological balance, various sanctuaries and national parks were established. The nearest railway junction is Wardha, which is 35 kms away from the sanctuary and Nagpur is the nearest airport situated at a distance of 80 kms. If you want to drive down to the sanctuary, then Hingni is the nearest bus stop, at 5 kms. Tourists can hire jeeps or car that can take them to the sanctuary where they can experience the scenic beauty of the place. 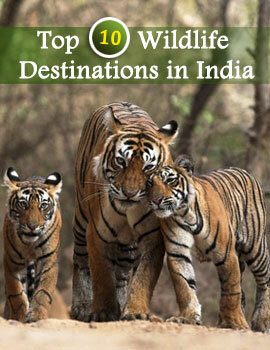 Bor Wildlife Sanctuary is a reserve forest with all the measures for the welfare of the wild animals. Hunting or causing any harm can lead to criminal offences.The sanctuary is home to dry deciduous forests with various species of trees like the teak, ain, tendua and bamboo. 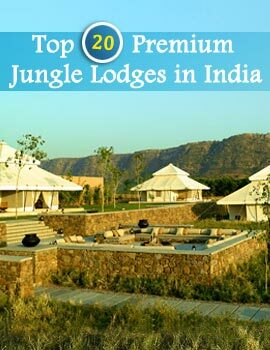 Among the wild animals there are tigers, panthers, nilgai, sambhars, barking deer, chinkaras, wildboars, bears, wild dogs and wild cats. Tourists will have a wonderful time watching these wild animals roaming in their natural habitat. All kinds of measures are taken for the animals as well as for the visitors to avoid any hazards or accidents. The forest lodges and the guest houses are the best places for accommodation for the visitors to put up and to experience the night life of forest, which is full of thrill and excitement.